In the 1990s and early 2000s Ireland achieved significant economic growth that has been characterised by rising high-tech exports and knowledge-based employment. However, as this growth was driven primarily by the presence of foreign-owned multinational corporations in high-tech sectors, its sustainability has always remained a basis for debate. For instance, to what extent did capabilities spillover to indigenous industry and start-up firms. 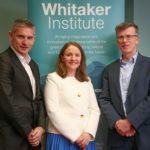 Moreover, in the current state of economic instability, an understanding of industrial dynamics and the technological capabilities that underscore the Irish economy at present is essential. In a comprehensive search for information on business enterprises and industrial growth in Ireland we found a serious lack of reliable and complete enterprise-level data required to investigate these issues. In an attempt to overcome such limitations we constructed a new database populated with company and product-related information, which allows for a deeper understanding of technological change and industrial development in Ireland. The new database consists of up-to-date business demographics for key technology-based clusters in Ireland. The finely granulated, product-based classification system of the database allows for the examination of technological activities, the specification of technology-related clusters and most importantly, emerging technologies and technology management capabilities. The database represents a systematic approach to identify key industrial clusters that are creating a competitive position for Ireland. In demonstrating the utility of the Lucerna (latin for ‘lamp’) database, we have undertaken a data analysis exercise to elucidate the emergence, growth, dynamics, and distinctive capabilities of the medical technology sector in Ireland. In particular, the study provides an understanding of the capabilities and skills of the sector by analysing its product composition, which departs from many existing studies that tend to focus on the composition of firms as opposed to products. The main argument presented is that the capabilities are in place to allow a transition to a new business model based on endogenous development; through an enhancement of these capabilities and technological convergence, the opportunity is present for the sector, that while inter-related with global leaders elsewhere, establishes a distinctive innovation capability. Similarly, a case study of renewable energy shows the potential for an emerging industrial cluster in the Irish economy that operates at the intersection of two or more of the technology-based clusters that presently exist. Overall, the study concludes that from a capabilities perspective, Ireland has assimilated technological, manufacturing and managerial capabilities primarily from the presence of multinationals. These, it is argued, can be mobilised and enhanced as potential engines of economic growth and the newly devised Lucerna database can contribute as an evidential database to illustrate the existence of such capabilities. This project is funded under the Marie Curie Transfer of Knowledge program.